Who would have thought a few years ago that the words APIs and masterpieces would go hand-in-hand? It’s certainly a wild thought, but nowadays, that’s simply the case. 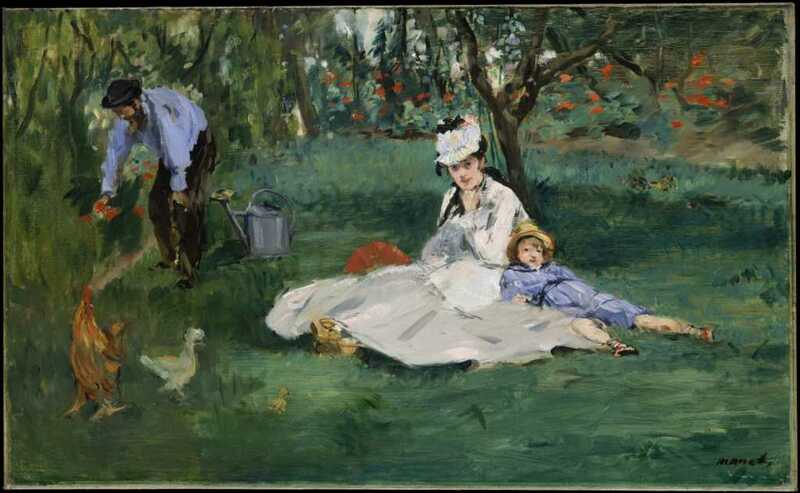 Thanks to APIs, masterpieces such as Renoir, Matisse and Jackson Pollock, just to name a few, are now accessible in all sorts of ways via APIs. I remember living in NYC in the late 80s and the word APIs didn’t exist. When I wanted to see a Renoir, I moseyed on down to the Metropolitan Museum of Art (MET) and walked around the museum to enjoy Renoir and other masterpieces. Now with APIs, you can easily have access to see all the paintings you love in mere seconds. APIs enable you to share information and gain more insight into the art world. How is this possible? No longer are you confined by the past, APIs make it possible to download masterpieces onto your laptop or phone in a flash. Not to mention the VIP access you to have an abundant amount of information on artists and the museums themselves. Going to the library in the old days was always a dusty experience, now you can sit in the comfort of your own home and read and see all the artists you can imagine. APIs provide an immense service to the art world. For starters, databases are now at your disposal from so many museums around the world. APIs make it possible via quick-turnaround technology to download and view information in a click of a button. Museums such as the MET in New York City now have initiatives in places such as their Open Access platform. What does this do? You now have free admission online to look at copious amounts of works of art, download, as well as distribute, without any limits, more than 406,000 images of public-domain works in their collection. Thank you, APIs! Digital transformation at their very best. Being an art lover now takes on a whole new meaning thanks to APIs. With APIs, you can take a virtual tour of most museums. Head on over to the Hermitage in St. Petersburg, Russia and check out the museum. Are you longing to go to Paris but don’t have the time? Check out the Louvre and get a virtual tour at your fingertips. APIs are now a global business. There are APIs for just about everything these days—and this applies to the art world as well. Now there are companies that focus their efforts around the art world such as Artsy and Vastari. Artsy’s mission is to “expand the art market to support more artists and art in the world.” Thanks to Artsy, you now have a podium for discovering art in mass amounts. The beauty of an online space such as Arsty is that they feature leading galleries and collections from around the world all in one place for the viewer to see. People who utilize the Artsy site are students, patrons and art lovers in general. It’s now possible to learn so much more about art online thanks to APIs. Furthermore, Vastari gives you a place that makes it much simpler for museums to converse with the private sector with direct access. Another beneficial financial plus for museums globally is you can now go online shopping via APIs. Museums around the world now make it possible to buy their goods from scarves to books via APIs. Do you want to buy a book on the Danish master, Vilhelm Hammershøi? Click on Museum Jacquemart-André and purchase what you wish. You no longer have to be there in person. APIs are always changing. You need to stay with the technological wave to be up-to-date. New developments in the art world transpire every day. Websites such as ArtPI are designed and elevated for the art world. They use artificial intelligence (AI) to bring the art world to you in full bloom. With information from style, composition, light, etc., you have full access at your fingertips. ArtPI allows you to have answers for professionals in the art market, such as galleries, auction houses, etc. Learn more about APIs and the art world. AMPLIFY API Management—an API plan that works! With APIs in the art world, you need to go one step further and have a strong strategy that protects your APIs. This is where AMPLIFY API Management comes into play. With AMPLIFY API Management, you have the full-on capability to protect your APIs to the highest extent. What does AMPLIFY do? AMPLIFY allows you to combine real command to structure how you build your APIs, manage, analyze, as well as prolong your digital services. This provides for seamless integration on behalf of your APIs. Learn more about AMPLIFY API Management.